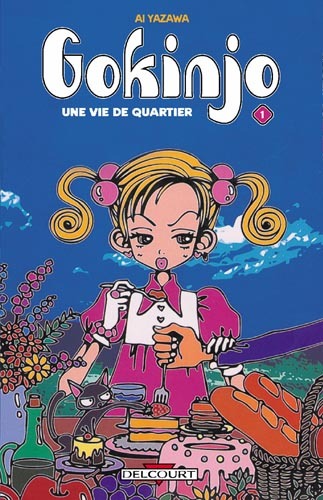 In observance of this week’s Paradise Kiss Manga Moveable Feast, I thought I’d extract a bit about the title’s prequel, Gokinjo Monogatari, from this more general request for… well, for more Ai Yazawa manga. “Next is Gokinjo Monogatari, also originally serialized by Shueisha in Ribon. Aside from being a Yazawa creation, Gokinjo Monogatari (or Neighborhood Story) has the added allure of being a prequel to Paradise Kiss. (Okay, maybe “prequel” is the wrong word. That’s reserved for stories set earlier in continuity than the one that spawned them, right? Then again, since it would be published in English after Paradise Kiss, it would technically count as a prequel, right? Sorry. Moving on.) 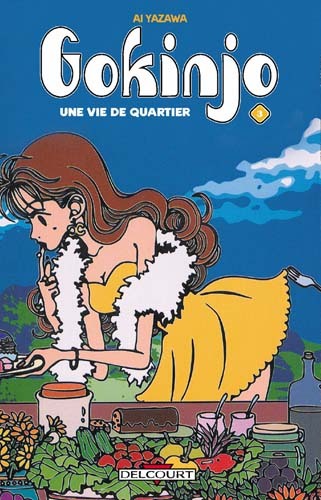 Mikako, the story’s protagonist, is the older sister of Miwako, one of the designers from Paradise Kiss. It follows the lives, loves and ambitions of students at Yazawa Arts, and nobody portrays young artists quite as well as Yazawa. It spanned seven volumes, so it wouldn’t lend itself to easy doubling, but seven is a lucky number. 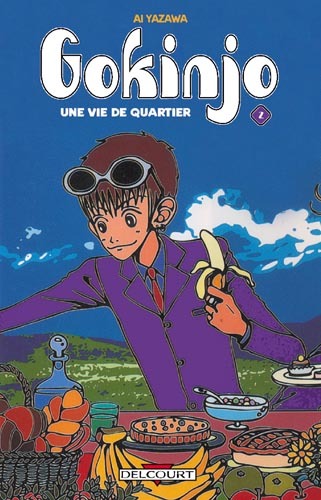 Delcourt has also published Neighborhood Story as Gokinjo: une vie de quartier. You are currently browsing the The Manga Curmudgeon blog archives for the day Friday, July 30th, 2010.